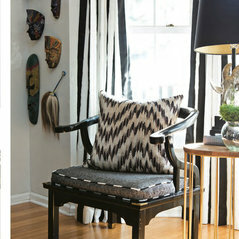 Dayka Robinson is a fast-rising Atlanta-based Interior Designer whose unique skill for combining bold patterns with saturated color has caught the attention of media outlets nationwide. Her tagline, “Live With Intention. Work With Intention. Design with Intention.” speaks directly to her belief that we each have the ability to design the life of our dreams through deliberate action. 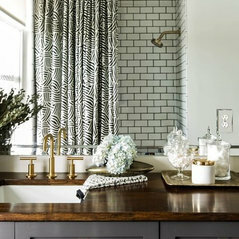 Her masterful mix of edgy/soft and her "High/Low" design philosophy underscores her thoughtful design process to help each client create unique spaces & thoughtful solutions to live stylishly. Noted Residential & Commercial Interior Designer. -Voted one of “15 Under 40” to “Change the landscape of Culture & Design in Atlanta”. -Featured Design Expert (live) on The Weather Channel’s nationally syndicated morning show, “Wake Up With Al” with Al Roker & Stephanie Abrams. -Featured Essence Magazine Design Expert. - Former Design Assistant on TBS’ “Movie & A Makeover” + “Dinner & A Movie”. 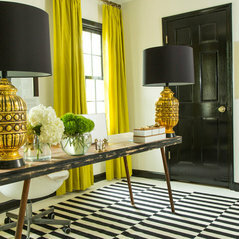 -Recognized by HGTV.com’s Front Door as “One of the Atlanta’s Best Interior Designers”. -Named to the “Hot List” as a “Newcomer To Watch” by The Atlantan. -Brand Ambassador for Colgate Palmolive. -April 2015 Black Enterprise feature article entitled, “The Accidental Designer”. -Sought-after Lifestyle blogger and author. -Nationally published design work. Featured in major publications such as Better Homes & Gardens Cottages & Bungalows, Uptown, Essence, This Old House, The Atlantan, Atlanta Homes & Lifestyles, Black Enterprise, The Atlanta Journal Constitution, Southern Home, Design Sponge, the West Elm blog and more. -Design Speaker & Educator. -Content Creation & video production for Scripps Networks Interactive, Neenah Paper, Home Depot, AmericasMart & Colgate Palmolive. Dayka is an AMAZING designer and stylist. She has the most amazing style and endless ideas. What I especially love is her high low approach to interior design. Comentado: MirrorThe mirror is a vintage, gold leafed baroque-style mirror that was a second hand find! Check Etsy for something similar. Comentado: PaintThis was my first job &amp; I didn't think to save the paint color!!! That being said, I think it is "Ballet Slipper" by Benjamin Moore. I know for sure it's a BM paint. Hope this helps! Comentado: where did you get the wicker bins at the bottom of the bedThey are actually stools and they came from Pier 1 a few years ago. 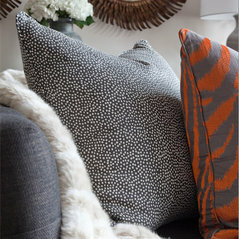 If you're in the market, look at the Samar ottomans from Crate &amp; Barrel...they are my new favorites!